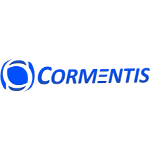 Founded in February 2017, Cormentis Design Corporation, a affiliated company of Etairos Consulting, is a privately funded innovative incubator with unique IPs, IT products and services serving clients worldwide. Cormentis was founded by Silicon Valley veterans with extensive technology and management experience. Its products target various markets including big data replication, data security and protection, corporate culture and compliance, process re-engineering, etc.